Lynn became a part of the Wellington family over 20 years ago, “November 1996, to be precise! It could be considered a cliché saying that your school is like a family, but at Wellington the cliché is true! 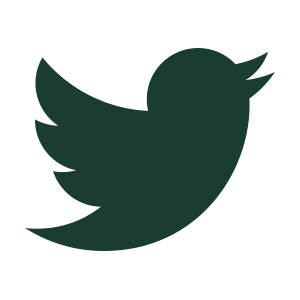 Having been here for so long, I feel enormously loyal and proud – I definitely have green blood! What do you love most about teaching Primary 7? 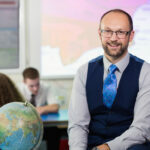 P7 is a truly unique year for children and teachers alike – after all, not many of us get to be involved in what happens next in our pupils’ school careers. As P7 teachers, we have a close bond with our class, teaching them for two thirds of the timetable. This gives pupils a sense of stability and security, however, the remaining third allows them to explore their growing independence by moving around the school for classes with Senior Teachers. As Primary 7 Year Head, I enjoy forging ever-stronger links with colleagues in order to ensure that the transition points between P6/7 and P7/S1 are seamless and exciting. Two incredible women made me yearn to teach: my Primary 4 teacher, Miss McCrindle and my cousin Myra Shuttleworth. Miss McCrindle had that special ability to connect with each pupil in her class and create an atmosphere where we were all engaged and excited to learn. Myra is a few years older than me and, when she started to train to be a teacher, I saw how fulfilling she found it and this inspired me. To be honest, I knew that I wanted to become a teacher from as early as P4! What do you like most about Wellington? Day after day, year after year, I stand in front of pupils who are keen to learn – it is a pleasure that I do not take for granted. My own daughter’s positive experience as a pupil has enabled me to see the school from another perspective and I enjoy being able to relate to parents with both hats on!